I think the doors on the old mill, while worn have a lot of character. If they could be saved they might be reused if a new shelter was built for the mill, not a replica but something smaller that would have the feel of the old mill. Mike, if time permits, I have thoughts of the flooring too, if not too far gone or labor intensive to get out. You can store the mill in my barn. 2- you would be going back with more than you came with. I think we'll need to get going on moving the equipment, the sooner the better. Have they got a FOR Sale sign on the property now? There will be a work day at the Shingle Mill on Saturday, June 27. 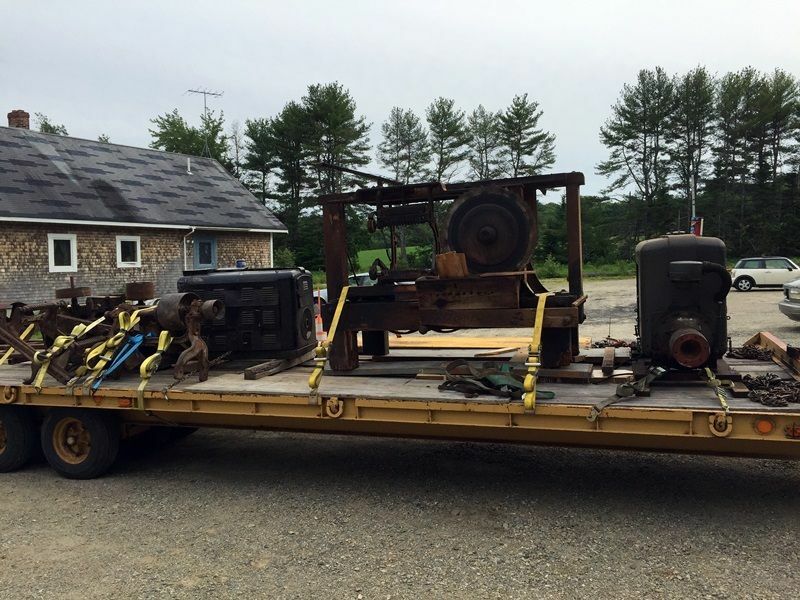 We will start the removal of the mill machinery and we may also have a chance to get items from the other buildings. I need to coordinate with the executor of the estate to see if he will be available to let us into the other buildings. If not, we'll concentrate on the machinery. Hope to see you on Saturday. If you're that early I presume you'll get coffee for everyone. I like mine XL, no sugar with extra cream. Bill has decaf, just cream. I'll wander by about 8:30 with the Late Riser's Club. I'll plan to be there with the keys, Mike. Easy on the coffee, restrooms are some distance away! Dave, your coffee will be down the road a piece. They will keep it hot for you. Restrooms are in the same building. 1. It's decaf with skim. 2. Never use my name. Thanks Mike. Do they have doughnuts too? As to the other guy - what makes you think I meant you? 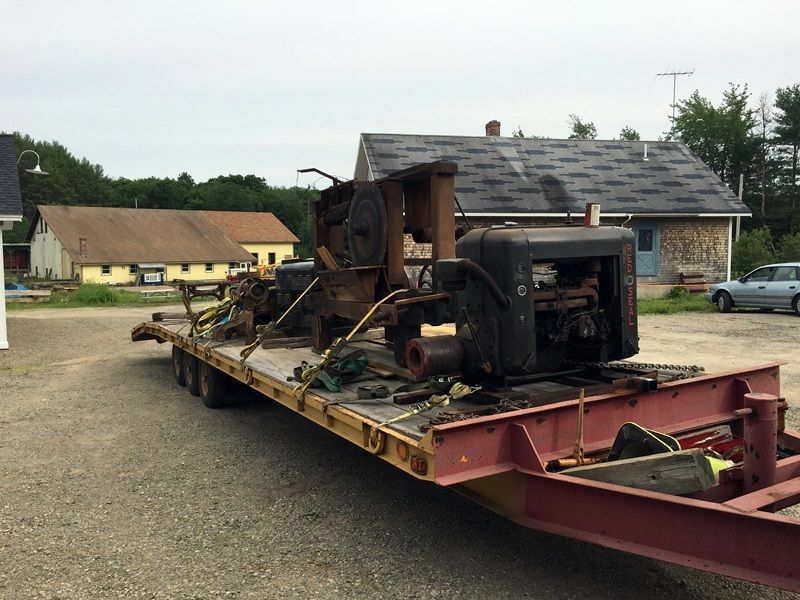 The Shingle Mill is now in Sheepscot. It was a very good day. 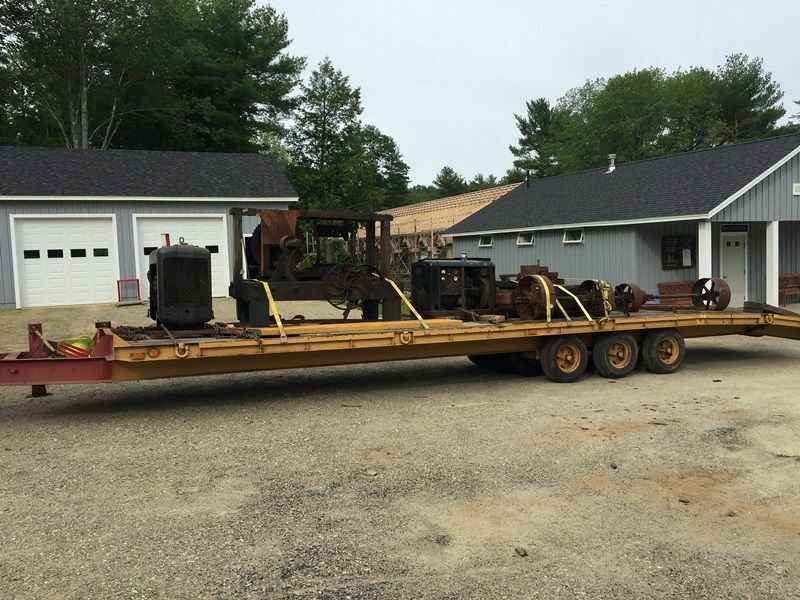 Things went better than expected, and all pieces were separated and about ready for removal by the time the Kubota showed up. There are pictures out there, hoping they get posted here as well, showing the removal process. Now the motors can be checked over and maybe started. Some of the timbers need to be replaced due to rot. Sorry I could not be there to help! Sounds like a great many things of interest are now at Sheepscot. I had something to do at noon here in Rutland, which occupied today. I'll be back tomorrow through Wednesday to continue work on WSH and other projects! Mill parts at the railroad.